Overlay is the process of aligning one layer of a process stack to the subsequent layer. The overlay error is the shift between those two layers. An overlay specification was created by international SEMATECH to better understand the issues facing optical metrology and to determine the best way to analyze a tool set. 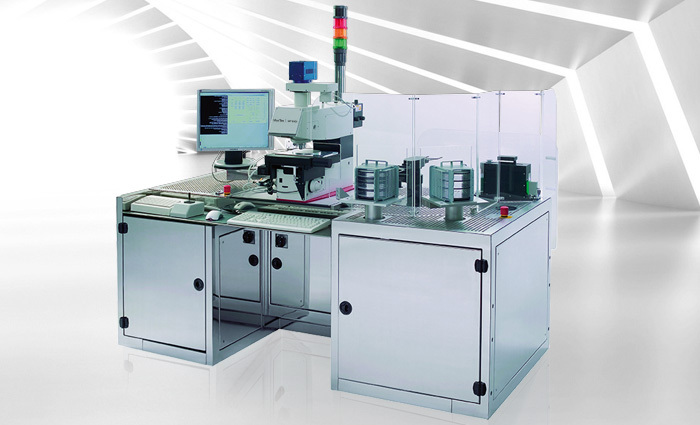 The methodologies include: measurement of precision (repeatability and reproducibility), determination of throughput, accuracy, through focus measurement, and Tool-Induced Shift (TIS) variability. 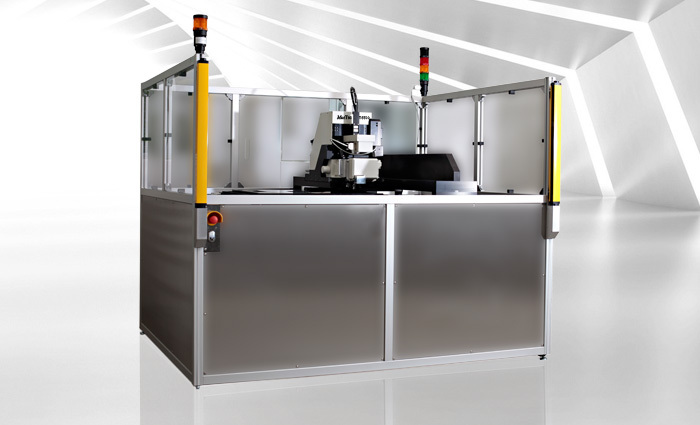 The measurement of the overlay is executed at two structures which were produced in different, separate production steps and which in most cases consist of different materials. A very common test structure to measure the overlay is a box-in-box structure. In preparation for a precise overlay measurement, the software has to recognize or say “learn” the approximate center position and the borders of the inner and the outer box, to define the ideal measurement parameters. This learning procedure is comfortably supported by a single mouse click in the NanoStar software. The result of the learning routine is then displayed in the so called IP Window as shown on the right. 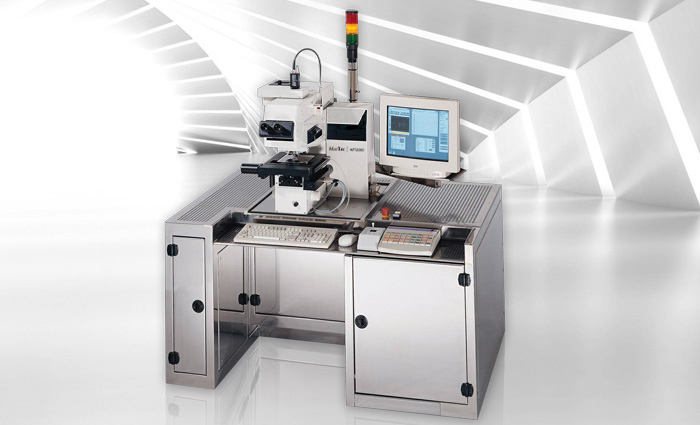 Besides box-in-box test structures, the MueTec Tools measures also frame-in-frame, L-bars, circle in circle, cross in cross or any other kind of customized overlay features. Nowadays several other types of structures are in use to measure the overlay parameter. The MueTec systems - if equipped with infrared illumination – are able to measure overlay top-to-bottom outside and also inside the substrate. 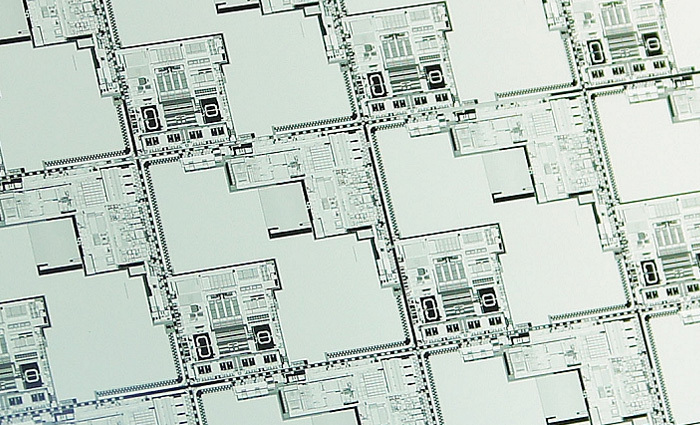 The overlay application makes it possible to measure wafers with very low contrast appearing in manufacturing processes like STI (shallow trench isolation), and CMP (chemical mechanical polishing) using proprietary algorithms. A homogeneous objective lens with a Strehl value of better than 0.98, selected especially for overlay demands, guarantees homogeneous images for better performance. To optimize the overlay measurement performance to its utmost level, tool parameters like illumination homogeneity and optical quality of the objective lenses are automatically corrected. This so called Tool Induced Shift (TIS) of the results is corrected automatically using the automated TIS correction. These parameters for this correction are recorded once by reference measurements on each type of wafer during the job setup and are then automatically used to calculate the corrected overlay results for each measurement. MueTec has put a lot of effort into resolving these key issues. The outcome is a user friendly, advanced overlay measurement tool with highest precision and throughput, best repeatability and grade of automation and lowest TIS.